We received overwhelmingly positive feedback from our first course launched in March. It's now been revised and renamed to its final version, REAL LIFE LOW CARB, open for registration now! If you're ready to improve your health through low carb & Dr. Bernstein's management techniques for diabetes, this is your chance! This online course is full of practical information about Dr. Bernstein's plan for diabetes management. PLUS, we take it a step further to include the WHY and how of such a lifestyle change. We teach practical steps to take control of diabetes in a supportive, non-judgmental format. We're all on this journey of diabetes together. The goal of diaVerge has ALWAYS been to support one another and be a positive voice in the world of low carb diabetes management. diaVerge presents info in a practical, real-world format, in everyday language. -- If you want to learn about low carb, this is the place for you. -- If you want support as you check out Dr. Bernstein's plan, this is the place for you. -- If you want to learn other diabetes management tools such as pre-bolusing, protein bolus, protein calculations, insulin options, and treatment of lows, this is the place for you. -- If you're having challenges with commitment or discipline, or just need a guiding hand, this is the place for you. -- If you're already following low carb but not achieving the results you'd like, this is the place for you. 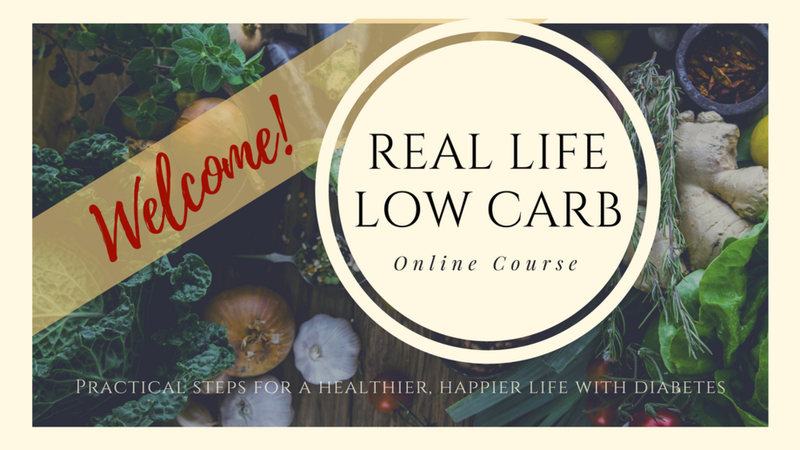 please visit REAL LIFE LOW CARB. I want everyone to have easy access to the information they need and feel comfortable and supported throughout the process. We respect your privacy and will never share your info. Unsubscribe at any time.